Supermac's are understood to have agreed to pay €300,000 per year, up from €220,000 in the previous deal, with add-ons and bonuses potentially taking it up to €400,000 per year until 2022. 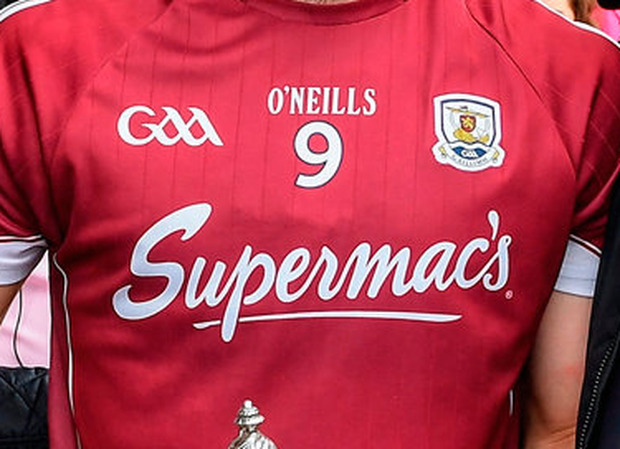 The rising tide of Galway GAA has been reflected in a five-year extension of their sponsorship arrangement with fast-food giant Supermac's which could be worth up to €2m to the county over that period. The deal pushes Galway into the slipstream of Cork and Dublin who have the most lucrative sponsorship deals in the inter-county game. Only last week Dublin and AIG confirmed a five-year extension of their sponsorship, taking them to 2023. The original deal, which concludes this year, was worth in the region of €4m to Dublin, €800,000 per year. Last year, the Galway hurlers swept the boards with league, provincial and All-Ireland titles while the footballers have been progressive in the last 18 months, culminating in a league final appearance and a third championship win over Mayo in successive years. Those successes, along with All-Ireland minor hurling success in 2017, have helped to yield an improved deal for Galway who have their own financial troubles after losing significant money on land purchased for a planned centre of excellence outside Athenry. The land has been put up for sale with a guide price of €750,000, much lower than what it was purchased for. The company is celebrating its 40th year in business having starting sponsorship of the Galway hurling team 27 years ago.